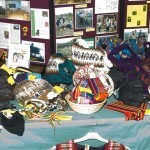 We were delighted that 30 of our District Clubs brought Displays of their International work to the Showcase held at The North Wingfield Miners Welfare. 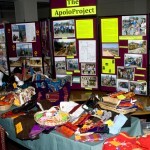 We also had Displays from Mercy Ships, Aquabox, Shelterbox and Bridge2Aid. 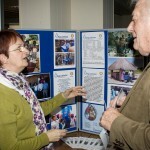 During the afternoon we had almost 200 Rotarians , families, friends and community enjoying the displays and the opportunity to find out more about projects and charities helping Communities throughout the World. 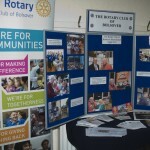 As a follow up many clubs have arranged speakers for their members and agreed to work together on fundraising. Sue Leyden, daughter of Sir John Hunt 1953 Everest expedition leader, gave a superb talk about “Everest Re-Visited and the work of The Himalayan Trust”. 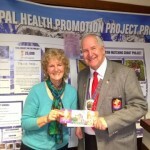 Our District Governor Steve Lawes presented her a donation of £300 from our District to support the Charity. 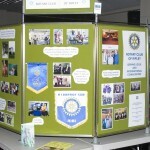 We hope to repeat the Showcase in the coming Rotary year using Derby and Nottingham Universities as our venues. The Incoming and outgoing District International team are organising an International Dinner and Project Fair on Wednesday 4th June at the Mansfield Civic Centre. This is an opportunity to see International Project Stands and hear speakers from Mary’s Meals and Lend with Care. Please support this evening of fellowship and information. Entertainment with an international themeThe stalls will be open for viewing from 5.30pm (set up from 5pm) and the dinner will be served at 7.30pm. The two presentations will follow the dinner. There will be options for vegetarians and persons with special dietary requirements. 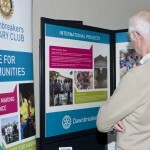 If you would like to use the opportunity to put on display any international projects in which your club is involved please let me know as soon as possible so that I can reserve you a stall. (limited numbers available) There is no charge for this. If you would like to attend the dinner, please let me know straight away, preferably by email, with a cheque for the appropriate amount, payable to “Rotary International District 1220”. We would this event to be a big success and so your support would be invaluable. Non Rotarian guests are very welcome. 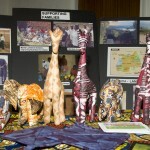 Gail Ashley has supplied a newsletter from her International Committee. You can access this in full screen or download to your own machine using the icon in the top right corner of the preview.